No Vaccines Necessary. That’s the truth. Are vaccines necessary? Are they safe? Are vaccines causing Autism? Are vaccines the BEST thing we can do for our children? Are unvaccinated children a risk? Are vaccinated children at risk? 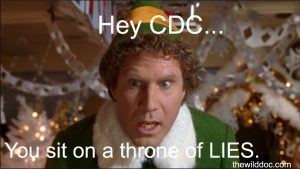 If you desire the truth behind vaccines and desire the best for your children then please watch and share this video. Mississippi-Yes, Mississippi- has the nation’s best child vaccination rate. Here’s why. Is Big Pharma Addicted to Fraud? The Childhood Immunization Schedule and Safety: Stakeholder Concerns, Scientific Evidence, and Future Studies.